This is a monthly gathering of graduate students and postdocs talking about teaching and learning. 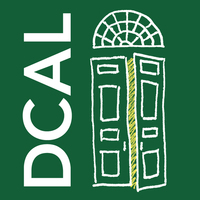 In order to cultivate a community focused on teaching and learning amongst graduate students and postdocs, DCAL has established a Learning Community for Future Faculty (LCFF). The focus of this group is to share the rewards and challenges of college teaching, while digging a bit deeper into best practices and techniques for teaching. The LCFF meets monthly on the 2nd Monday of the month.